Stern, unsmiling, green vested traffic cops have appeared at intersections across the city, from the concrete apartment blocks and asphalt overpasses of Putuo to the leafy lanes of the former French Concession. 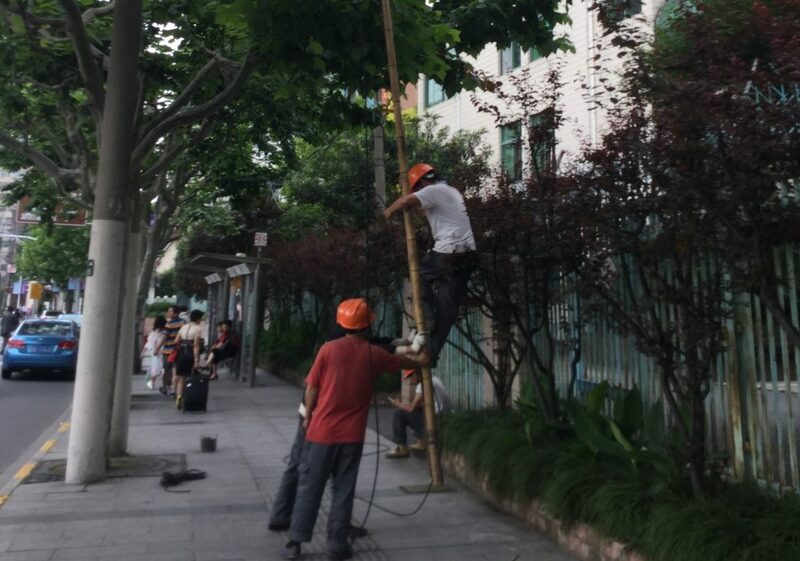 Like most Asian cities, the streets of Shanghai are a mad free for all. Motorbikes whip by, lights out no matter the hour or conditions, silent as the wind, and drivers jostle for position ignoring lanes, signs and pedestrians. Bringing order to this chaos is a mighty task, and the police officers stationed across the town stand with tremulous purpose, like rookie soldiers approaching the enemy for the first time. On the busy, wide corner of Hengshan and Wanping road, a police car and a ferocious looking blue police van are parked subtly behind a bush, as their owners stand resolutely in the middle of the intersection. They’re staring down the waiting traffic like a matador awaiting the charge of the bull. The traffic lights are still red, yet a small, ugly, silver car makes a break for it. Chinese drivers take road rules as mere guidelines, and seeing a driver crossing a red light is a common occurrence. But this time the cops were having none of it. As soon as the silver car broke ranks, one of the policemen yelled. He strode towards the car, but it kept driving, slowly, pugnaciously into the middle of the intersection. The cop walked right up to the still moving vehicle, yelling, and smacked the bonnet with his hand. He was shouting. The driver was shouting back. The cop was gesticulating furiously, insisting that the driver reverse back behind the line. But if Chinese history has shown one thing, it is that defiance of authority is a collective act. The cars behind the rogue driver soon followed his lead, and advanced beyond the line. Retreat was no longer an option, and the policeman yelled in vein. The lights turned green. Cars surged forward from all directions, like water shattering the walls of a fragile dam. The cop turned helplessly back towards his companions as the troublemaker cruised calmly away. Other drivers have not been so lucky. The brunt of the crackdown has fallen upon the electric scooters. These ubiquitous vehicles are more menacing, more toxic, than even the fumes of PM 2.5 that stain the Shanghai skyline with a sick, yellow haze. At night they flash by silent and almost invisible, keeping their lights out to preserve power. They charge the wrong way down one way roads. They drive on the pavement. The insolent drivers text as they hone. The older ones blast traditional Chinese music out of absurd speakers roped onto the back. They chain smoke cigarettes, the exhaust thus coming out of the front of these pestilential contraptions. The cops, it would seem, share my ire. At a quieter intersection in a leafy street surrounded by consulates and french patisseries, three police officers, two men and one woman, stood in wait. A scooter approached. The cops waved. The driver stopped. One cop shouted something. The driver shouted back. The other two cops were shouting too. Eventually the driver spat on the ground, reached into his wallet, and handed over a shiny, pink 100 yuan note. The cops gave him a ticket, and he drove on. A few moments later the scene was repeated. Walking down the street, I saw the same palaver on display at intersection after intersection. This state of affairs continued for some weeks, a brief shouting match followed by the exchange of a ticket for the crisp, bright red 100 yuan bills. Lately, things seem to have made another shift. The drivers have gotten wise to the crackdown and have adapted accordingly. A young, elegant Chinese women was snapped whilst riding a tiny scooter that looked like a cross between a child’s push bike and a lawn mower. When the police waved her down she didn’t argue. With a bored, agitated expression she hopped off her bike, handed over her 100 yuan note, and mooched morosely on. She was out of earshot of the cops when she saw another woman hooning towards her on a scooter. She shouted and waved furiously. The second woman heeded her warning. She hopped off her scooter and walked calmly past the cops. They eyed her suspiciously, but made no move. The moment she was passed them she hopped back onboard and zoomed off into the distance. 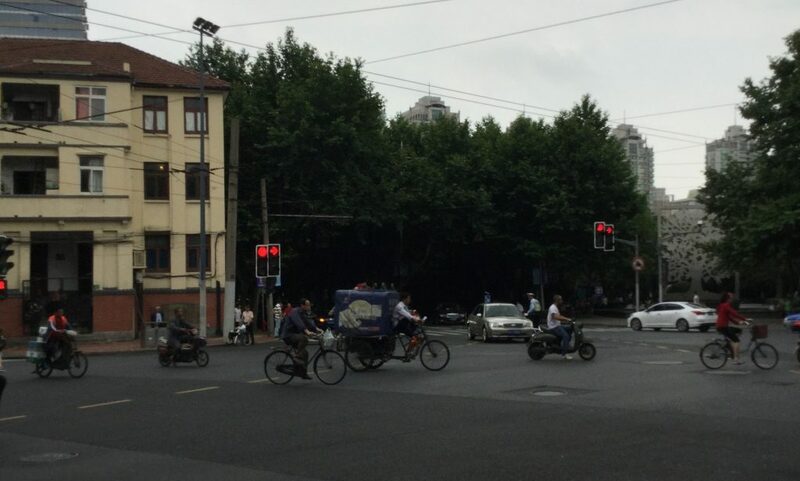 No one drives their bikes to intersections anymore in Shanghai. They approach the corner on foot, wheeling their bikes, eyes scanning left and right like a drug dealer at an international airport. If police are present they walk defiantly on, not climbing on their bikes until they’re safely out of the way. If the coast is clear, they leap onboard, smile, spit and charge towards the next street corner. I wonder what the police must be thinking – in the world of a cop, all Shanghai scooter owners have suddenly become pedestrians. Perhaps they think that a mechanical plague has ruptured the engines of all scooters in town. Or perhaps they’ve gotten their message across. 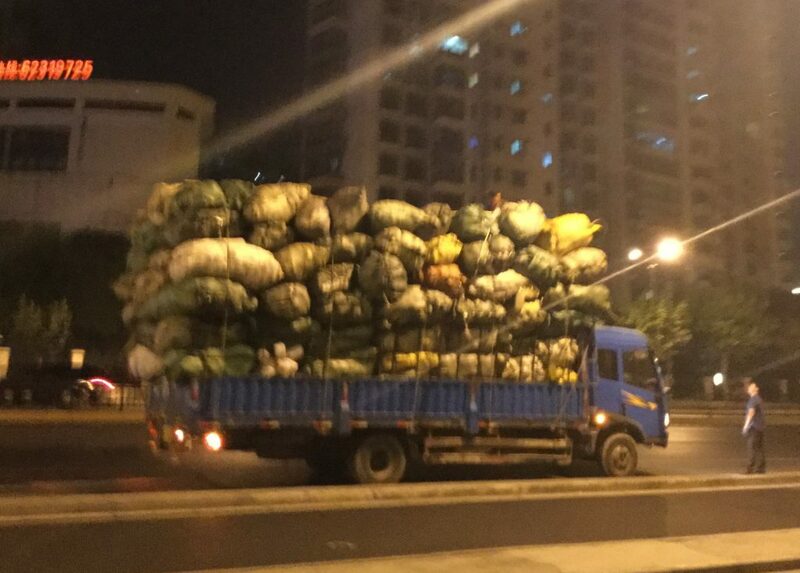 In Shanghai, like Jersey, anything’s legal – so long as you don’t get caught.